How are coins minted? A behind the scenes guide! Coin collecting is an interesting hobby. Most collectors start as children, some are handed over their collections by their parents or grand-parents and discover the joy of collecting at an early age, some come to collecting later in life, triggered by an interesting coin issued for an event or by an interesting coin issue with the prospect of potential value increase. 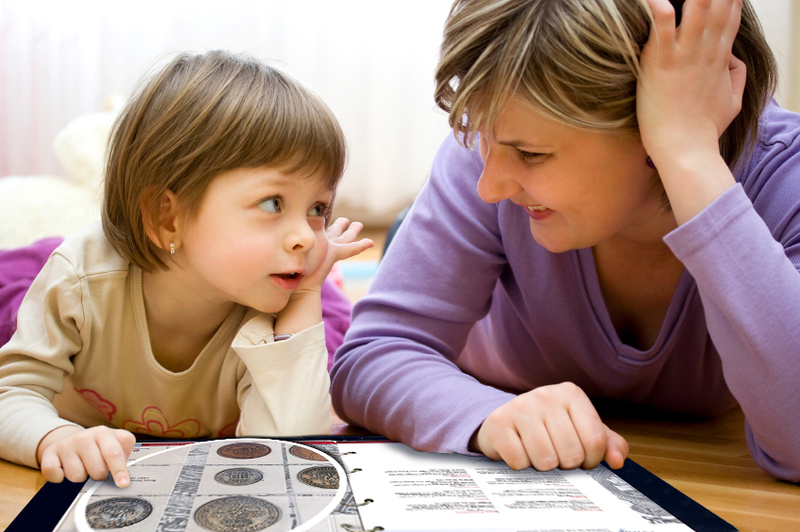 Whatever the motivation or situation, the field of coin collecting is so wide that it offers inspiration for everyone. Coin collecting is one of the oldest hobbies on record. Emperor Augustus liked to give old coins to his friends and many coins of the late Roman period were based on coin designs from years before, which suggests that coins were stored as a matter of policy. Byzantine coin designs were similarly full of visual references to coins circulated centuries earlier. Coin collecting was one of the more innocent pursuits of the notorious Pope Boniface VIII at the end of the 12th century. The Italian poet and thinker Petrarch collected coins on his travels, while at least two United States Presidents, Thomas Jefferson and John Quincy Adams, had a keen personal and professional interest in coin collecting. Adams, who served as President from 1825 to 1829, not only collected but studied coins and used his knowledge to help guide the development of early American currency. From the 15th century onwards, coin collecting became a hobby of kings and nobles, who employed agents to scour Europe and Asia for coins of beauty. Numismatic research was actively encouraged by aristocratic families and a major trade in coins began, fuelled by waves of excavations of ancient sites. King Louis XIV of France possessed a collection that he carefully watched over and attended to each and every day. The Victorian era saw the creation of numismatic societies and the emergence of a whole support industry of dealerships and magazines. By the dawn of the 21st century, Internet-driven coin trading became a major global business and coins were accepted as important vehicles for investment. Gold and silver coins have become particularly prized since the world economy entered its present period of economic uncertainty. Today’s collectors, however, just like Emperor Augustus, still value coins primarily for their aesthetic merit and historic significance. Established in the UK in 2005, The London Mint Office has added a new chapter to the history of coin collecting by widening the volume and variety of coins available to collectors such as you. Today, coin collecting is a hobby embraced by people of all backgrounds, including a surprising number from the worlds of entertainment, sport and politics. President Franklin D. Roosevelt was also a dedicated amateur collector, as was his Secretary of the Treasury, Henry Morgenthau, at a time - the 1930s - when the popularity of both coin and stamp collecting soared in the US. King Emmanuel III of Italy owned a collection of over 100,000 coins, which he bequeathed to the war-torn Italian nation when he abdicated in 1946. Some of the most impressive coin collections in the world were brought together by wealthy private individuals or families. Baltimore businessman Louis E. Eliasberg Sr actively collected coins from the mid-1920s until his death in 1976. He was the only person ever to assemble a complete collection of circulating United States coins by date and mintmark. The only coin that Eliasberg did not have in his collection was the 1849 US Double Eagle, the only example of which is in the possession the Smithsonian Museum in Washington DC. Eliasberg’s collection was sold off in the 1980s and 90s, raising over $57 million. Individual coins, too rare and precious to be owned by private collectors such as the 1933 Gold $20 Double Eagle are sometimes reproduced as replicas. Another key 20th century figure was Harry W. Bass, who only came to coin collecting in his late 30s yet amassed a huge collection of 19th century gold coins in particular. He built one of the finest holdings of numismatic books and catalogues ever gathered by a private collector, and he also established the Harry W. Bass Jr. Research Foundation to advance research and scholarship in United States coinage. Among its beneficiaries is the American Numismatic Society, whose museum houses much of the original Bass collection. Some of the world’s wealthiest families have strong associations with the coin collecting world. The Rothschild dynasty began in the 1760s with Mayer Amschel Rothschild, whose early investment in rare coins gave him his entry into banking services. A century later, T. Harrison Garrett, proprietor of the Baltimore and Ohio Railroad, began a significant collection that was continued by his sons Robert and John. More recently, the Farouk dynasty that ruled Europe from 1936 to 1952, collected an estimated 8,500 medals and gold coins.Among entertainers who have listed coin collecting among their hobbies, actor Buddy Ebsen of ‘The Beverly Hillbillies’ fame had one of the most impressive portfolios. Other actors to embrace the hobby over the years include Joan Crawford, Kate Hudson and also James Earl Jones, who voiced Darth Vader in the ‘Star Wars’ series of films. Probably the most famous sportsmen to embrace the hobby are ice hockey star Wayne Gretzky and baseball ace Andre Dawson, while Paul McCartney is reported to be an occasional collector of historic coins.